Last saturday, i was invited to join a group of around 20 pax bloggers for the CSL Mi700 review program. 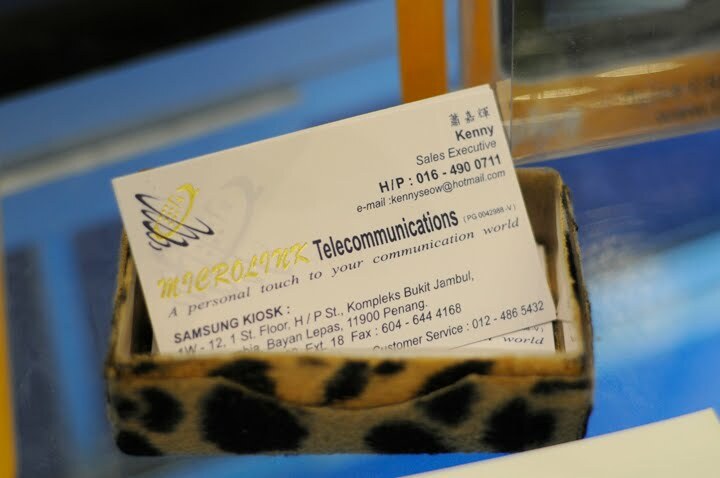 The program start at 3pm with some introduction on the phone, and some demos of operation by the person in-charge. We were exposed to all the ability of the phone. 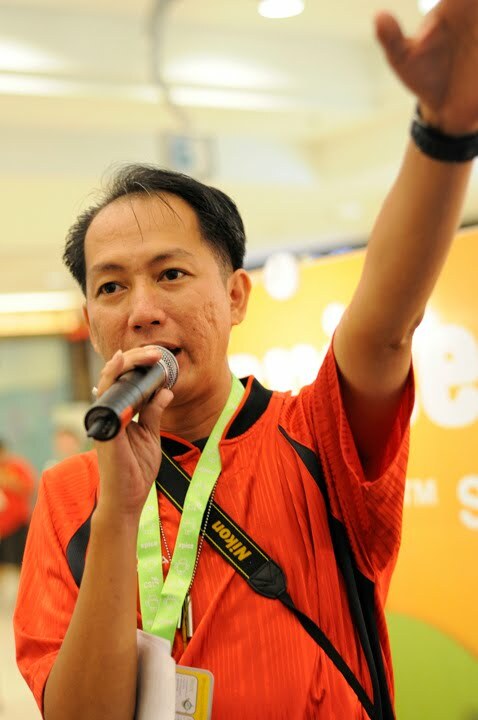 The event also come with a lucky draw, whereby the luckiest one will walk away with a new CSL Mi700 as the present. 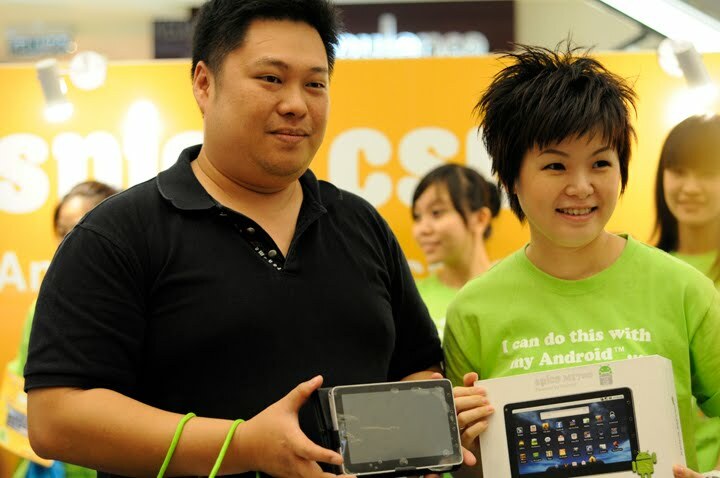 Apple, the blog writer had the luckiest moment and she walk away with the CSL Mi700 that worth around RM1599. After some interview and discussion, we end our session over there by around 4.30pm. It was a nice experience to get exposed to the newest tech, and actually i was so amazed by the CSL Mi700, as it was proudly to be 1 of the famous brand that was born locally. 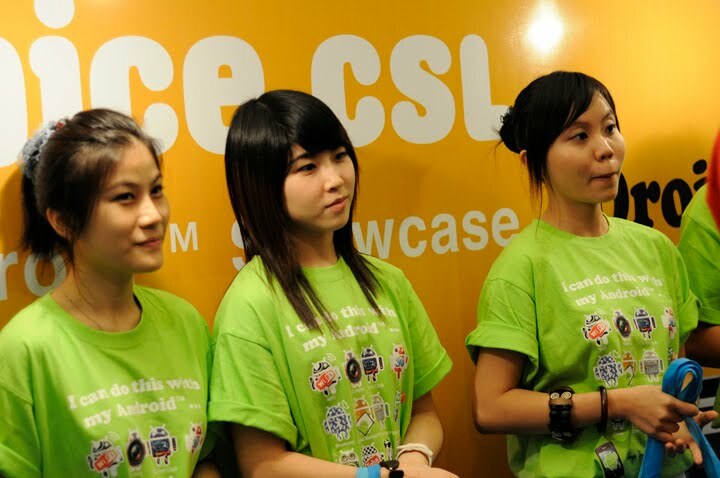 CSL Spice Mi700, a Tablet that is powered by the Android 2.2 (Froyo). Read e-books and much more. 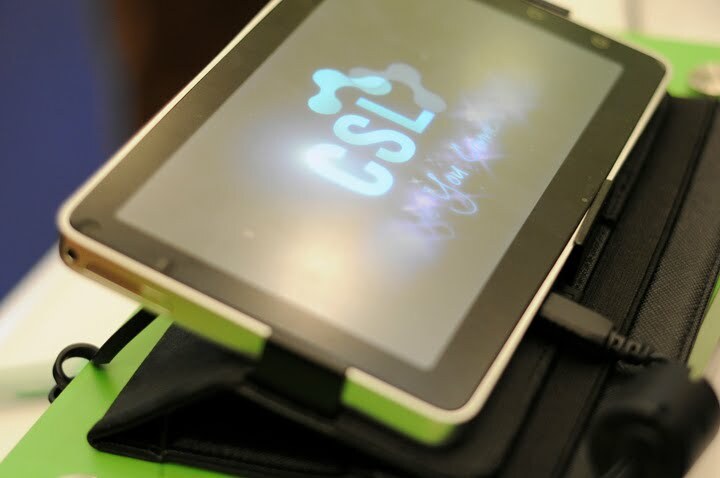 The CSL Mi700 a.k.a DroidPad is a high-resolution 7'in capacitive touchscreen that allows users to physically interact with applications and content with a touch or swipe of the finger. It is about 179.4 x 110 x11.5mm in size and weighing just 410g, it is thinner and lighter than normal laptop and netbook. 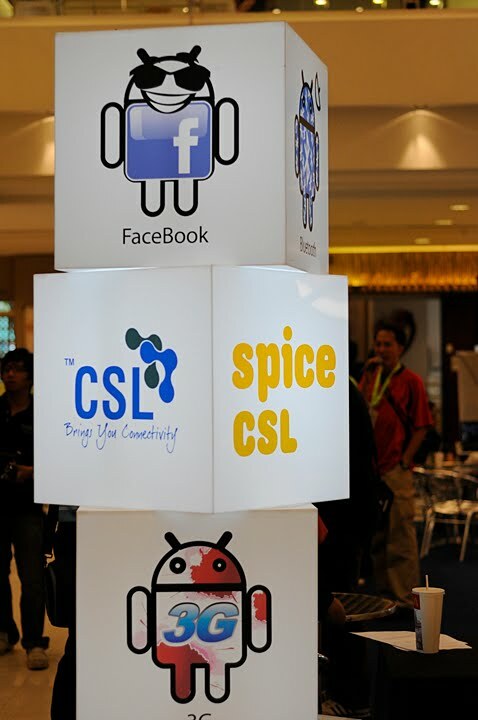 CSL Spice Mi700 runs on the Qualcomm MSM7227 600MHz processor and has 512MB RAM for storing apps. The storage capacity can be expanded via the built-in SD/MMC slot, which supports up to 32GB memory cards. 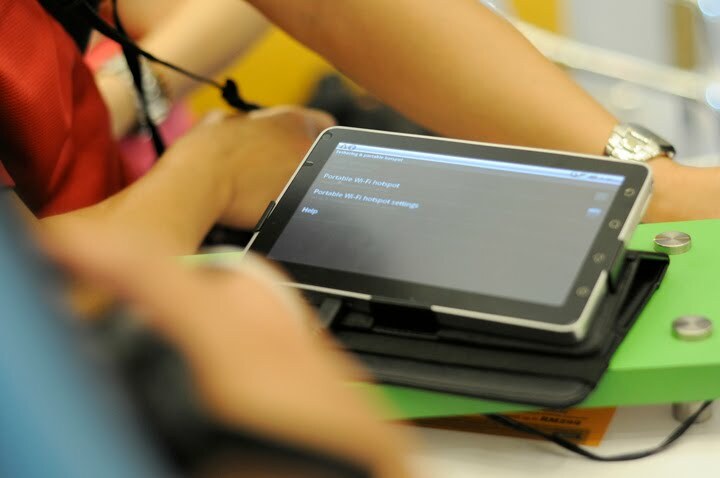 The DroidPad also doubles up as a phone, features 3G quadband connectivity. Bundled handsfree kit, speakerphone option or optional Bluetooth headset. Other features include 3-megapixel autofocus camera, A-GPS, electronic compass, ambient light sensor and accelerometer. 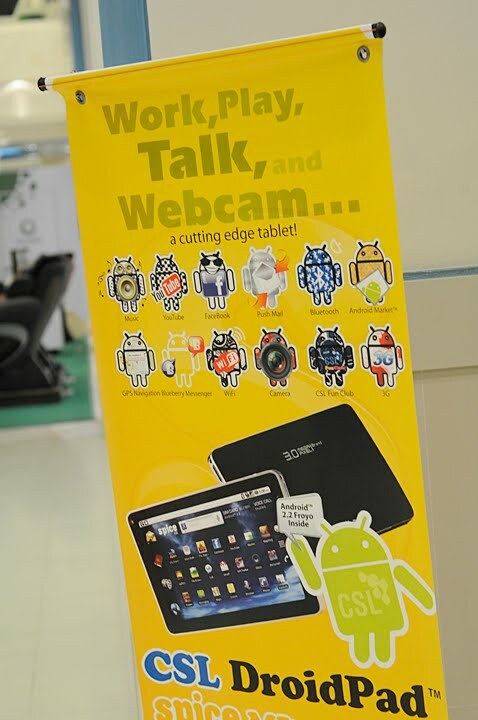 It has a rated talktime of up to 6 hours and standby time of up to 22 days. The banner at the event. 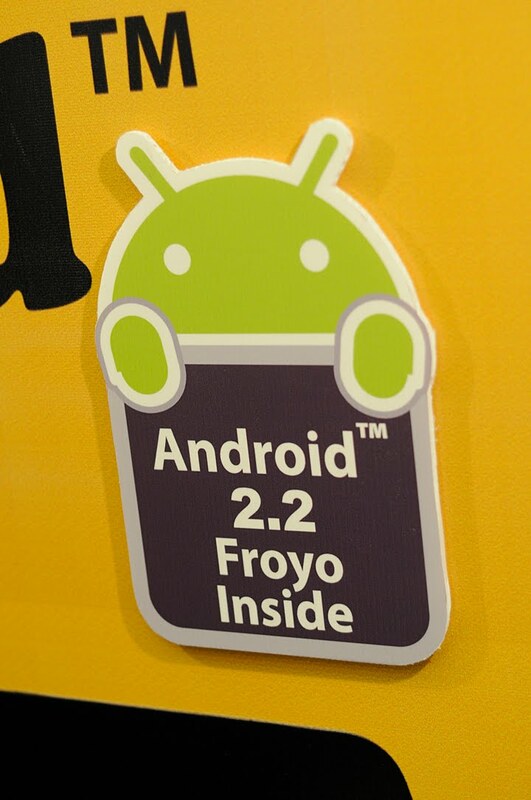 The CSL Mi700 is Powered by Android 2.2 - Froyo Latest Version of Android. The feeling of CSL Mi700 in both hands. Feel the size! The CSL Mi700 Starting logo looks like this! 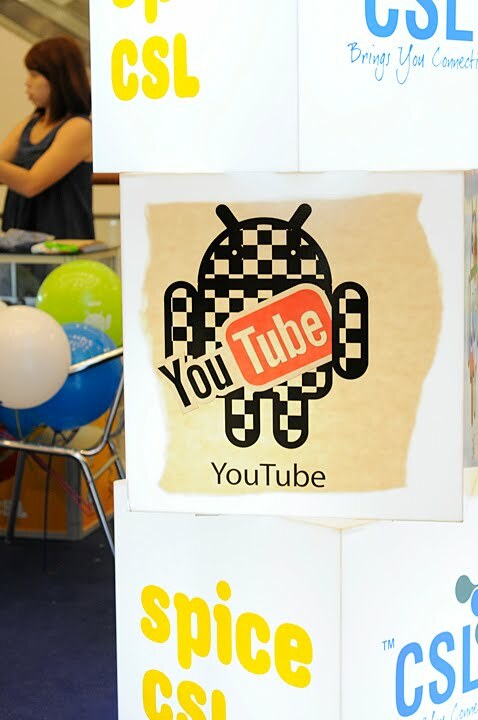 Big Sign showing Youtube is enabled! Big Sign showing Facebook is enabled! Blogger - Steven, listening carefully to the instructor. These promoters holding bags for the bloggers, Who will be the winner? She, Apple, is the lucky draw winner of the day. Her prize is the CSL Mi700 worth RM 1599! Alots of free apps available for download through market. I would personally rate it as 7/10. 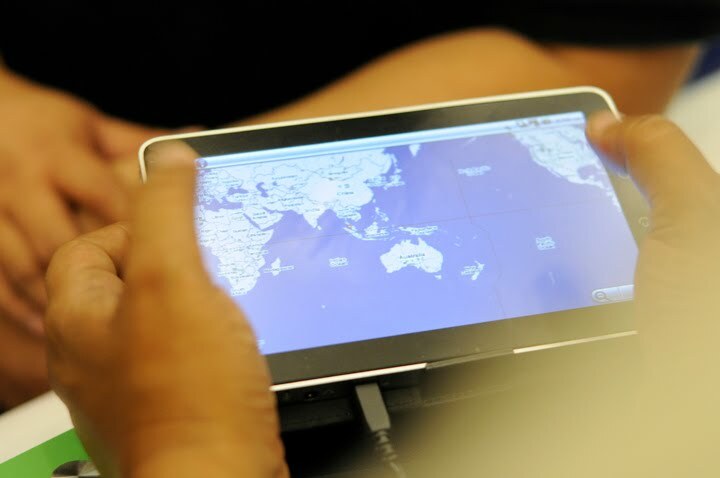 This device is like all in one multimedia tablet with phone function. Hence i think the price is quite reasonable.